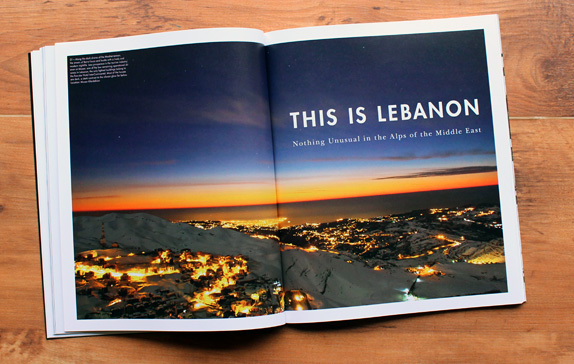 Lebanon is a country of complexity—known internationally as a mire of political turbulence, it is known locally as the Switzerland of the Middle East, both for its impressive geography and its capitol’s fast-paced nightlife and diverse culture. Genocide and war crimes may plague Syria to the northeast, and the Israeli/Palestinean conflict keep tensions high to the south, but amongst Beirut’s modern high rises, glimmering Mediterranean beaches and massive snow-capped peaks, the party rages on. It has been raining for two days in the mountains of Lebanon. The ski areas that happen to be open at the moment—depending on the current economic situation, between four and a dozen resorts operate in the country—sit empty under the inclement weather. Glamorous Prada and Gucci ski wear is abandoned for skin-tight dresses and high heels. In Beirut, where every third billboard advertises one of the city’s many plastic surgery clinics, the party begins. Life in Lebanon is extroverted, both politically and culturally. People live fast and party excessively, an attitude adopted from a tumultuous past. One of the most ancient hotbeds of civilization, Lebanon’s human history dates back more than 7,000 years, including the oldest continually occupied city in the world (Byblos), the invention of possibly the first alphabet by the Phoenicians, and a major center for Christianity during the height of the Roman Empire. The history of war is almost as deep—over the millennia Lebanon has been invaded by forces including Alexander the Great, the Romans, the Ottomans and Muslim Arabs, from which has stemmed centuries of internal conflict and ever-changing rulers. In 1975, Muslim/Christian tensions erupted into full civil war. The violence has continued ever since.